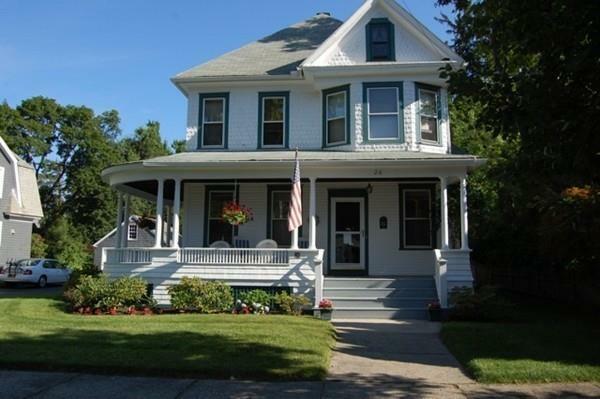 Curb appeal galore in this impressive old style colonial with a lovely wrap around covered front porch. Inside you'll find an open living/dining room combo w/ multiple windows overlooking the spacious partially fenced back yard as well as a sunny family room both w/ appealing thin oak hardwood floors. 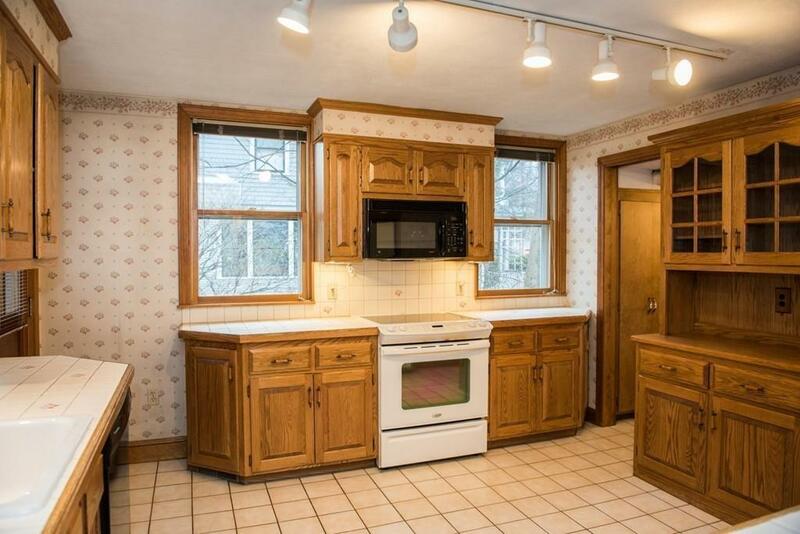 The kitchen is fully applianced w/ plenty of oak cabinets, a built in furniture finish curio cabinet & pantry. 1/2 bath on the 1st floor. Upstairs is a full bath w/ newer fixtures & 4 good sized bedrooms (2 have pine floors exposed & the other 2 have them under the carpet). The king bed sized master has a walk in closet. High ceilings & pretty painted doors & trim throughout. The walk up 3rd floor has 2 semi-finished rooms & huge potential for expansion. CENTRAL AIR. Underground sprinkler system. 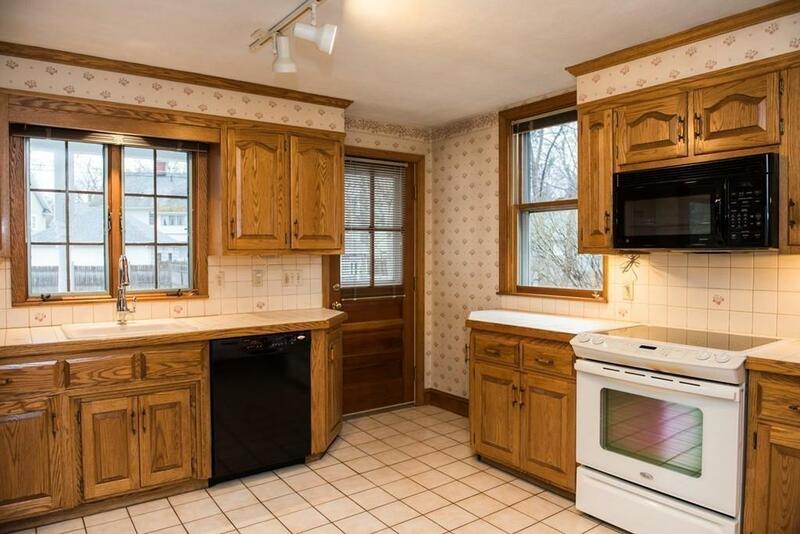 Very desirable neighborhood in a fantastic commuter location just minutes to Rte 91. Lovingly maintained by the same family for over 50 years. Fresh paint & you've got yourself a true gem! 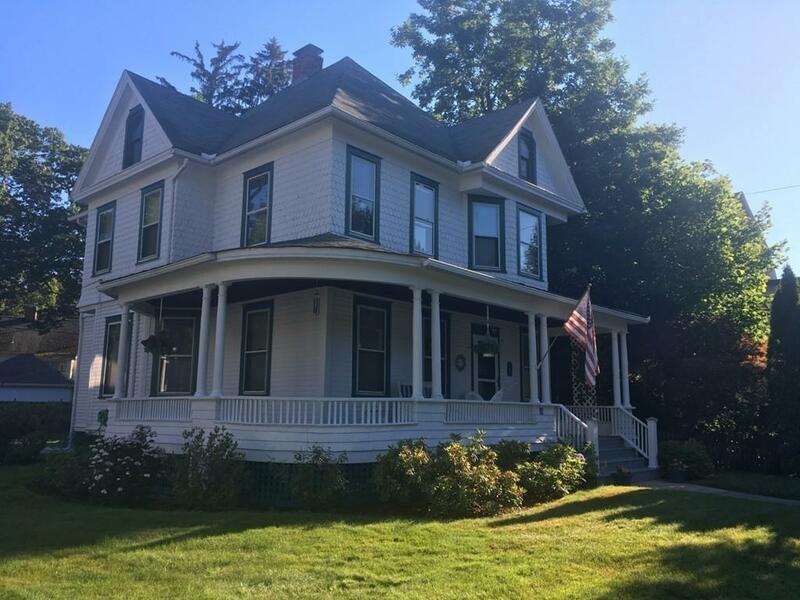 Listing courtesy of Lisa Guardione of Coldwell Banker Residential Brokerage - Longmeadow. Disclosures Fireplace Not Functional. Partially Shared Driveway. 2 Bedrooms With Wall To Wall Carpet Have Pine Floors Under. 3rd Floor Does Not Have Heat. Seller States Knob & Tube Wiring Has Been Removed. Gas Dryer & Gas Hot Water. Sq Ft Disclosures Does Not include Walk Up Partially Finished 3rd Floor. Listing provided courtesy of Lisa Guardione of Coldwell Banker Residential Brokerage - Longmeadow.